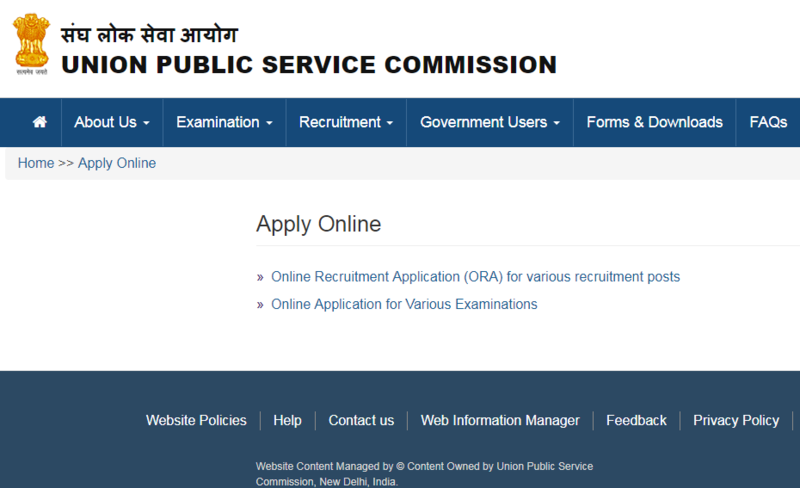 UPSC ESE Application Form 2019 Last Date, Online Registration Fees – When it comes to full forms from the side of Union Public Service Commission, Indian Engineering Services of Engineering Services Examinations are one and the same thing. UPSC is going to conduct the UPSC IES/ ESE Examination twice next year in the form of Preliminary Exams and Mains Exam. On 6th January 2019 Prelims of ESE/ IES will be held across various examination centres of the nation. While exact exam date for ESE/ IES 2019 Mains Examination is not yet released publicly from the side of the board. Candidates who are eligible to Apply online have a basic required educational qualification of having an engineering degree and the minimum and maximum age limit of the same is 21 years and 30 years. Indian National Rupees 200 is the Application Form Fees for General and Other Backward Class candidates and no registration fees have been charged from female/ scheduled tribe/ scheduled caste and person with disability candidates. In total there is three stage of the selection procedure. First being Phase 1st as a Prelims exam, second being Phase II as mains exam and third being Phase III as a personality test. 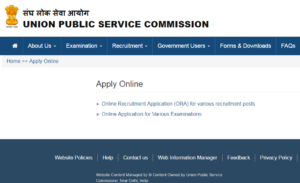 UPSC IES Official Notification PDF 2019 was first released publicly on www.upsconline.nic.in on 26th September 2018. From the same day onwards, Board of Controller of Examinations, Union Public Service Commission Started filling up the Application Forms online on an authorised portal. Apart from that, keep in mind that last date to Apply Online for IES or ESE UPSC Examination is 22nd October 2018. So still if you’ve not filled up the Application Form, kindly to it as soon as possible to avoid the last minute rush.